Lauren (18) went from student on the borderline of expulsion to complete wallflower. Had it not been for the Primary School Headmaster who wouldn’t exclude her for how hard life was at home, things would have been hugely different. When she found AHOY; it just felt right. One thing that has remained a constant, is her surplus of energy. At Primary school, though she tormented teachers and fought with classmates, she spent hours’ horse riding, taking gymnastics lessons; trampolining; field and track training and would later swim competitively for Newham, warming up with a simple 25 laps. Finding her stride in sports, she would also revel in performing, scoring the leads in school plays with her singing. However, as secondary school approached and life at home became more of a struggle – the energy she had invested in sports and the arts, fizzled. The fighting, aggravation and anger manifested itself in a different way. In a larger school with more anonymity, it was easy to withdraw into this new found lack of confidence, too shy to answer a question. For the five years spent at secondary, Lauren became invisible. After a year at college scoring the highest grade in her Sport Science diploma, it had become clear that Lauren was struggling with dyslexia and uninspired to continue, was determined to find an alternative to school that she would really enjoy. It had to be something hands on, outdoorsy with the space to gain new skills and preferably, out of the classroom. The Activity Leadership Apprenticeship played into her strengths; a strong focus on the practical but with the drive from the tutors to gain the theory side of each qualification – when she found AHOY; it just felt right. Through the year, she found strength in the support system her fellow Apprentices offered. 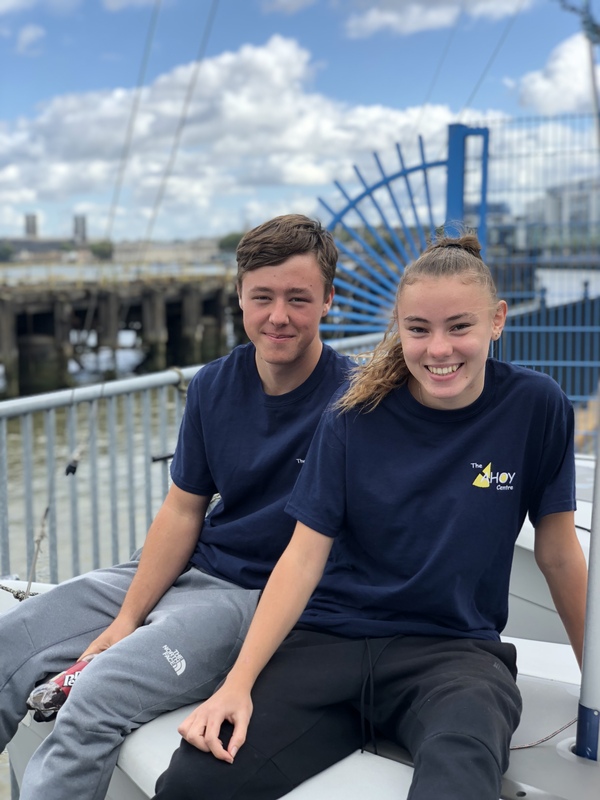 One week into the Apprenticeship Lauren thought ‘If this is how close we are now, how will we be after a year?’ With their similar interests and backgrounds – the team would become great friends and make some incredible memories. She fondly recalls sailing on the Thames through flurries of snow in February. Contemplating the future, Lauren is looking to gain as much experience as possible with aspirations of leaving the city for stables and horses. But for now, she’s joined a choir and is singing again.